Pura Goa Gong is one of the unique temple and thick with the shades of spiritual. 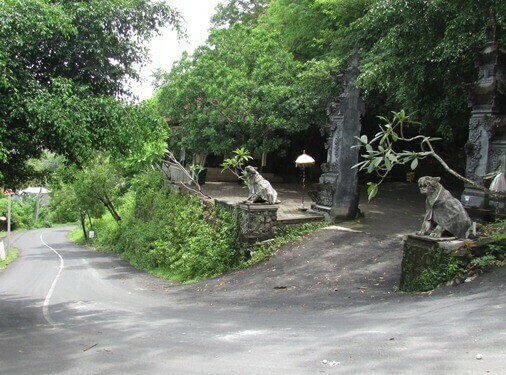 The site is located in Banjar Batu Mongkong, Jimbaran Village, District of South Kuta, Badung Regency, Bali. 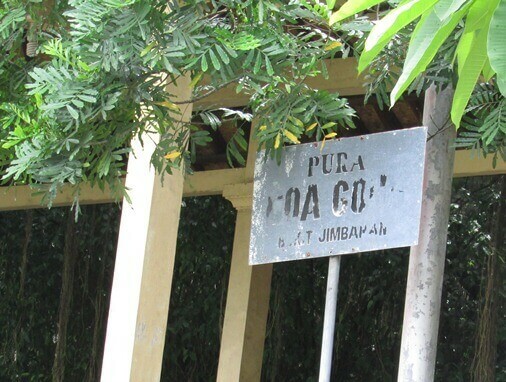 The existence of the site is quite old and described as "Pura Bukit Gong" in the ancient manuscript of Dwijendra Tatwa. Told when Dang Hyang Nirartha (the holy priest from East Java) arrives in the area of Uluwatu, he start meditates and invoke the guidance to build the shrine there (hereinafter known as Pura Uluwatu). While preparing the structures as a basis for the shrine, he heard the sound of gongs from the northeast. The gong sounds are so smooth and melodious, act like a call to the priest to come closer. Finally he decided to seek the source of the sound. On the way he encountered two dragons across the middle of the road. The two dragons are the king and queen of the spirits. He talked to the dragons and asks the reason behind their act for lying down across his path. Naga stated the reason that they had been meditating there. They appealed to the priest so that they can be purified and go to the Surya Loka. Dang Hyang Nirarta granted their wish on condition that their physical body remained there to keep the park and only the subtle body that goes to Surya Loka. The park became known as the Pura Peteng (Goa Peteng). 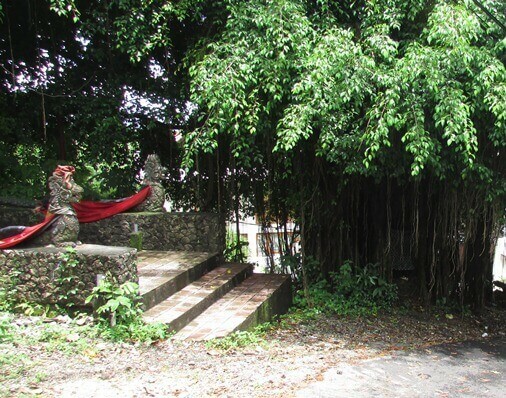 This temple is situated opposite the entrance to Pura Goa Gong, with the entrance (on the right and left side) flanked by a pair of dragon statue. He continuing the journey and finally arrive at a cave that was the source of the sound. Then, he got into the cave. Inside the cave, the priest sat on a rock and start meditating. As he meditated, many spirits come and invoke to be purified. 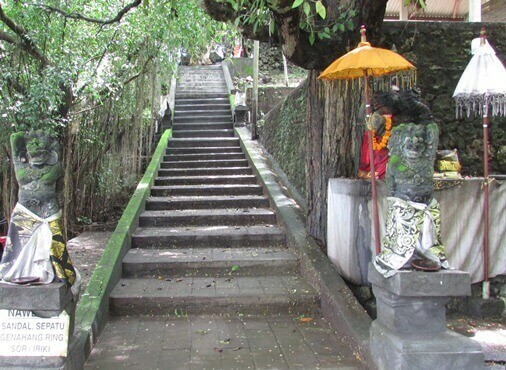 The holy priest agreed and requested their help to make the shrine of Pura Uluwatu. The soft and delicate sound of the Gong were derived from the big rock that blown by the wind gusts and the reflection in the cave. This place is full of mystique, vibrational energy and recommended to all lovers of spiritual. On this location appeared holy water source (where the priest starts the meditation). Furthermore, this water source is used as tirta. This holy water is also believed to have positive energy and can cure diseases that have long suffered.